Just spent the evening playing with PSK-31 using Digipan on my PC. I found some informative videos on K7AGE‘s youtube channel. The video below is just an introduction, there are more dealing with interfacing, setting up etc. Inspired by it I got the Alinco DJ-X10 in USB mode and tuned into 14.070MHz and sure enough got loads of messages from amateurs with very little effort. Obviously following on from the SSTV experiments I soon hooked up a couple of PMR446 handhelds and sent a few messages going across the ether! Got a few wav files in the MP3 player so I will probably do some field trials tomorrow! 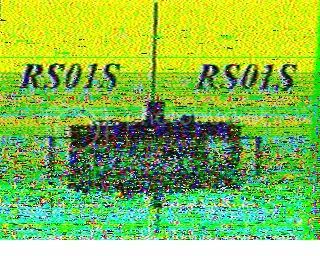 Following on from my experiments in receiving slow-scan television (SSTV) from the ARISSat-1 satellite I was intrigued by the prospect of actually transmitting and receiving some images myself. Being unlicensed the only legal equipment I can used is PMR446 these are low power (500mW) handheld transceivers with very limited range. I have several some older models kicking about from when I built a eQSO internet PMR446 gateway. 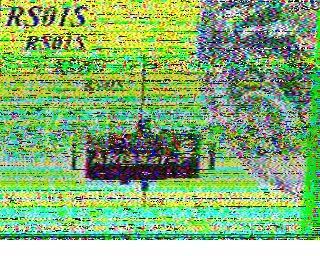 The SSTV image is transmitted by frequency modulation using a varying audio tone to indicate different brightnesses. 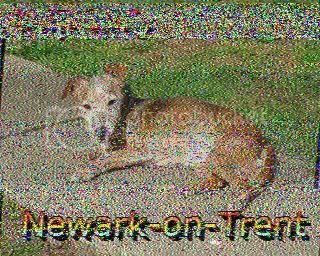 The software I have been using to decode SSTV is MMSSTV by JE3HHT (Makoto Mori) It can also be used to transmit SSTV images by connecting the audio output of the PC to the transmitter audio in. It allows editing and customisation of the images and the encoding format to use. 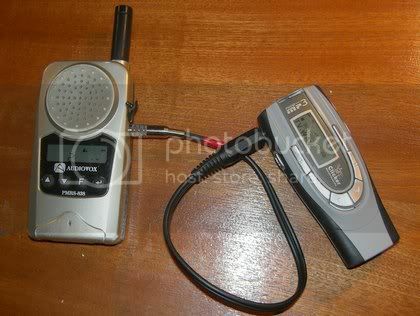 Obviously I couldn’t carry a PC around so instead I generated some images and recorded the generated sound to a WAV audio file and then used an old cheap MP3 player (which supported WAV files) connected to one of the Audiovox PMRS-838 handsets, configured to operate in VOX mode. The plan was to drive around to a number of local high spots and with the transceiver on the dashboard of the card output a series of images and see if they could be received and decoded back at base! – Each image taking around 2 minutes to transmit. The base receiver was my Alinco DJ-X3 connected to the loft based discone. I had to use the DJ-X3 because it supports to 6.25kHz narrow band channel step required by the PMR446 channel allocations. Well the first set of results today have been pretty good, I went to three sites to transmit from and using the terrain profiler on HeyWhatsThat.com I could calculated any obstacles in the line of site..The base is on the left hand side, the transmission point on the right of the diagrams below. Site 1, was 0.9 miles from home This site is just across on the other side of the Trent Valley with no significant buildings in the transmission path. as you can see the five images all came across very well, just a slight sync error on one. Site 2, was 1.2 miles from home and is one of the local high spots. Unfortunately there is a housing estate on the top of the hill. It is possible to go by foot on some footpaths to get into some fields with a clear vantage point across the town and down the Trent Valley towards Nottingham. However today these were from the car parked up near to the edge of the estate. I just sent two images – and they are a lot nosier. Site 3, was 3.2 miles from home and is on a slight high spot across on the other side of the Trent Valley. I parked up in a layby and transmitted three images and really wasn’t expecting much. So was very pleasantly surprised by the high quality of the received images, as you can see there isn’t any geographical obstruction but there is a very big new power station at Staythorpe in the line of transmission which I expected to cause some issues. Some of the lines of noise on the images I suspect were caused when large lorries and vans were passing by on the road momentarily blocking the transmission path as it is quite a busy road. From these encouraging results definitely some more experiments to be done on this, and some tests further afield! 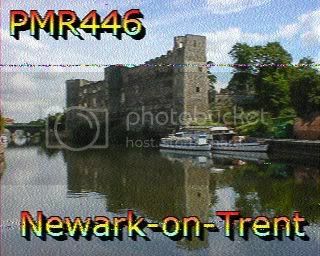 I will not be attempting to capture anymore, instead I am starting some experiments myself with SSTV using some PMR446 equipment, I will keep you posted. It is an eQSO/Echolink PC interface which I built 8 years ago when I set up a PMR446 eQSO Internet Gateway. The Gateway which was designated UK139-L was short-lived mainly due to the fact no one ever used it and it required a dedicated computer running 24/7. 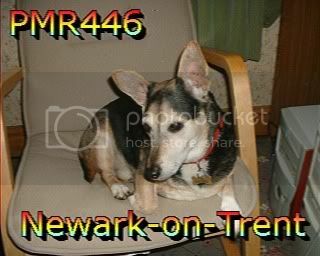 My recollection of that period is a little vague but licence free PMR446 two-way radios had been around since 1999 and around 2003 was when they officially replaced the Short-Range Business Radio (SRBR) service and had become more mainstream and a lot of hobbyists saw them as a replacement for CB radio. Shops like Argos had started selling them to the general public (many of the dog agility shows I attended used them for across site communication). Obviously being a geek interested in radio I decided to get some and when I found out about the scheme to connect gateways using a VOIP system to allow people to talk all over the world I couldn’t resist. With my usual enthusiasm I set about building one, testing it by driving around the local area and even created a website on the now defunct Geocities. I will have a backup of the website somewhere, but as it turns out it was one of the pages archived by the Geocities.ws project. 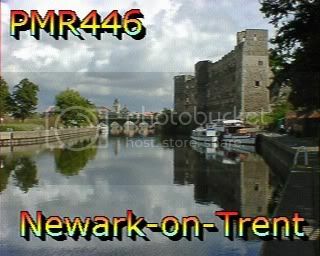 I have downloaded it and mirrored it on my current website at UK139-L Newark-on-Trent Some of the internal links are broken (not sure what version was archived) but I will fix it in the near future. 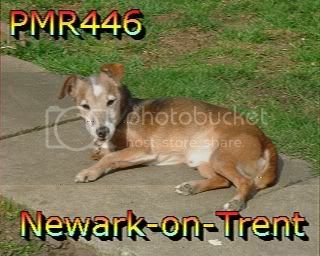 I will have to do more research and perhaps even resurrect the gateway when I get around to kitting out the shack. Ever since I was old enough to handle a screwdriver and a soldering iron I have had an interest in radio communications and electronics. I spent many a hour in my childhood scanning the Medium and Short Wave bands with various receivers (usually scavenged from family, neighbours or saved from the dump!) I constructed numerous long-wire and other bizarre antennas. I even did a presentation on my hobby for my English Language O-Level exam – I really did confirm my status as a weirdo! 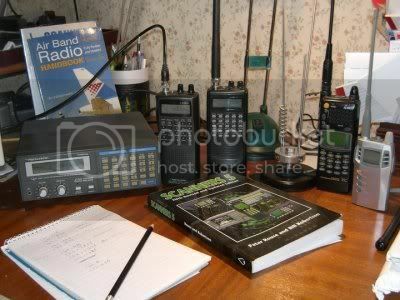 I played with borrowed CB radios and would have loved to progressed into owning one or becoming a proper radio amateur but unfortunately I simply didn’t have the money. Then the home computer revolution started and my Dragon32 and Tatung Einstein took up most of my time. I left school and went off to University and when I came back home and got a job I spent some of my money on a new fangled radio scanner, a Realistic PRO2022 from Tandy. A scanner is a radio that covers a wide frequency range, they are controlled my microprocessors and allowing you to listen in to a huge range of different communications including air traffic control, hobbyists (Citizens Band, Amateur radio), security guards, taxi’s and a lot more. Back in the late 80s, and early 90s they also allowed access to the emergency services and the old analogue cellular phones! Connecting it up a computer and using some software you even decode pager messages! Gradually all the ‘fun’ stuff disappeared, the mobile phones became digital, so did the emergency services. This along with other commitments, such as moving across the country to a new job, getting married and other demands on my time meant the scanner ended up collecting dust in the attic. Several years ago I briefly dusted it off and brought a couple of other second hand scanners including a Realistic PRO2006 and a brand new Alinco-DJ3X. 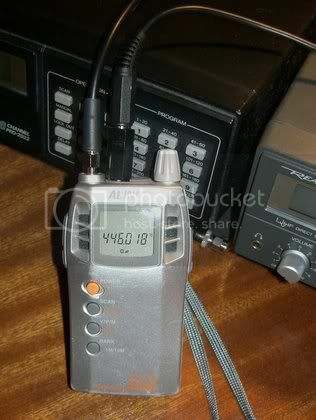 I also played around with some PMR446 systems, but sadly again they all ended up collecting dust. Well once again they are out of the boxes and I am having a fun time scanning around for interesting signals, well if you can count listening to the radio microphone at a local church interesting! I am thinking of buying a CB as it seems to have evolved from the bad old days into something more grown up. Even becoming a DX amateur type system using something called freebanding not legal mind, but then technically using a scanner isn’t! I am even contemplating taking the Radio Amateur exams and actually achieving a childhood dream, well I do now have access to money and did do an electronics degree! This time I hope it doesn’t all fizzle out and it is looking more promising as plans are a foot for me to have my own shack and I won’t be spending as much time on my other hobbies next year.